The Dead Ladies Show presents the stories of forgotten and famous women who achieved amazing things while they were alive. 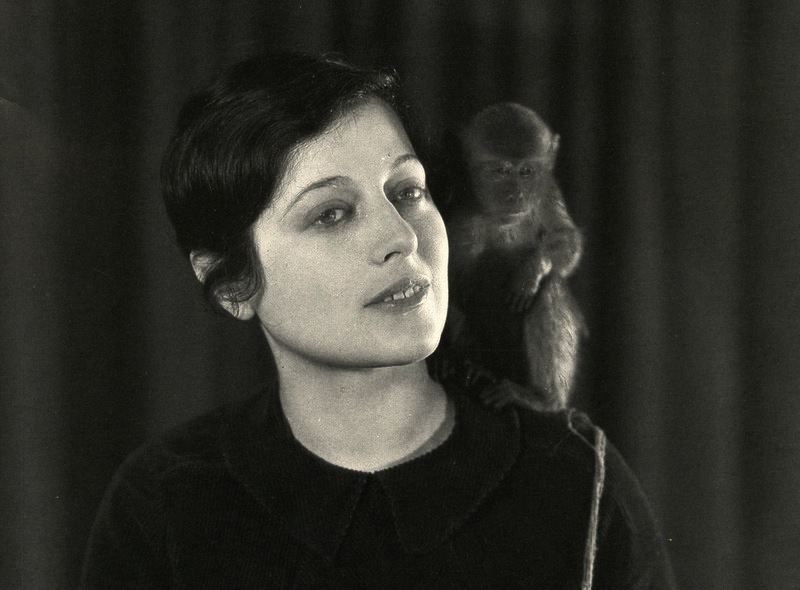 In this edition: legendary Austrian children’s author Christine Nöstlinger, 1930s screenwriter in glamorous exile Salka Viertel, and the wildly prolific Emily Hahn, who wrote on animal-human communication, Chinese politics, and the "art" of seduction. They are presented in German and English by Daniela Dröscher, Amanda DeMarco, and co-host Florian Duijsens. The Dead Ladies Show happens every two months or so at ACUD, Berlin, and celebrates ladies who were fabulous while they were alive, in English and in German. It is also a monthly podcast! Each time, they invite two special guests to share their love of particular ladies of yore in the form of lively presentations showcasing these women’s lives, works, and achievements. Covering all walks of life – from ancient mathematicians to silent-movie stars to record-breaking athletes – the Dead Ladies Show is all about women who achieved great things against all odds. We use live footage from the shows as material for a podcast, so deceased-dames fans can also listen in or catch up from wherever they may be. Come and join us, at the very least in spirit! ... grew from a "wild and angry child" in a socialist household in wartime Vienna into a multiple-award-winning writer best known for her children’s books. Her first was written at the kitchen table as a housewife and published in 1970, but she graduated to three different desks for her radio, newspaper, and book jobs. Nöstlinger’s stories were far removed from the “pedagogical pills” of the past. Parents are fallible, children are disobedient but not bad people, and her language is both funny and shocking. She was not afraid to admit that she found some children very unpleasant, but she wrote with great empathy, wisdom, and humanitarianism. ... was another Austrian, in this case originally an actor. She worked in Berlin, Vienna, Hamburg, and Düsseldorf, and raised three sons. Feeling "neither pretty nor young enough" to move from the stage to the screen after she and her husband moved to the States, she switched to writing Hollywood scripts, especially for her friend Greta Garbo. Her credits include The Painted Veil and Anna Karenina. Having helped fellow Jewish artists to escape the Nazis with emergency visas, she was put out of work by McCarthy-era suspicion and ended up moving to Switzerland. ... was the first woman to graduate in mining engineering from the University of Wisconsin-Madison. As if that weren’t cool enough, she then drove across the U.S.A. dressed as a man, before working for the Red Cross in Belgian Congo. Hahn spent an eventful decade writing for the New Yorker in Shanghai and Hong Kong, before returning to the West with a small child and a newly divorced British intelligence officer. Family life was not for her, however, so she moved to New York and visited her husband and two daughters occasionally, turning up at the magazine’s office every day. Her publications list runs to countless articles and 54 books, including biographies of top dead ladies Aphra Behn and Fanny Burnley.